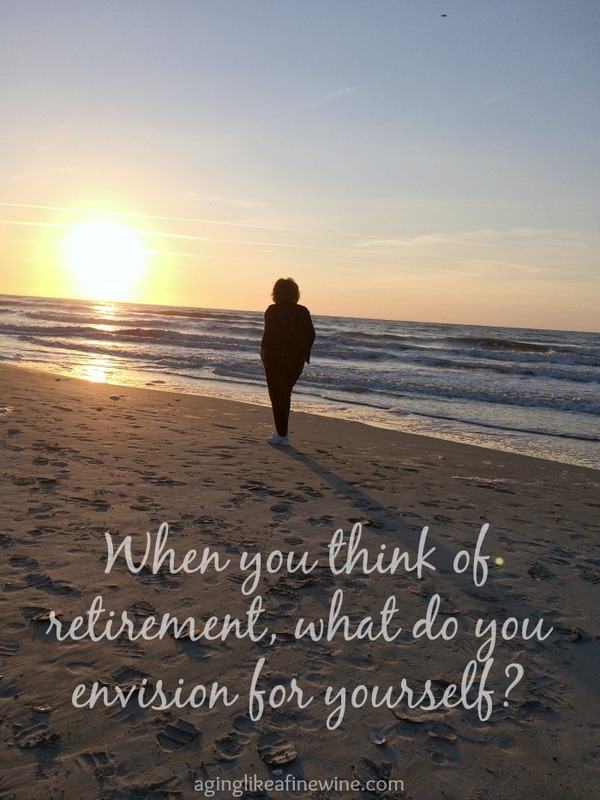 We’re thinking about our retirement options… what’s your dream retirement look like? I wrote a post a year ago about becoming a “stay at home grandma” and now I’m writing one about going back to work. What am I thinking, right? I’m thinking about retirement! I didn’t work for all of 2016 and when I quit my job, I really didn’t think I’d return to work. I felt like I was completely done with that part of my life. But with the beginning of the new year and taking a good look at our retirement plans; I came to the realization that it would be very beneficial to us for me to work some to help us reach our goals. My husband plans to work at the most 2 more years and then that’s it, we will both pass into official retirement. At least that’s the best laid plan right now, and you know what they say about those! So I just went back to work, but I’ll only be working two days a week, so that shouldn’t be too bad(?). I’ll still have time to do the “most” important things in my life. Speaking of retirement; what are your plans? Will you travel? Will you move, or stay where you are? Will you volunteer? Will you spend your days doing things you love; gardening, volunteering, reading, cooking, playing with grandchildren? Paul and I are actually considering making a move to North or South Carolina, somewhere near the ocean. I love the ocean! I love to sit and watch it, I love the smell of it, I love to walk the beach in the morning looking for anything marvelous that the waves may have left behind. It’s a very big decision, actually a huge decision for us because we would be leaving adult children and grandchildren behind. I could not bring myself to make that move, except for the thought that they will eventually make the move themselves. (This is something they’ve said they plan to do, I’m not just hoping!) Our sons and their wives would like to live somewhere warmer and love the coast as we do. My daughter and her husband, along with two precious grandchildren currently live in California, but they like North Carolina too, so I will forever be hoping that they will make the move one day as well! We envy those of you that live near lots of family, but that isn’t the path our life together has taken. We have family in Washington, California, Arizona and Minnesota. My life began in Missouri, then California and now West Virginia. Paul’s began in Minnesota, then Arizona, California and of course, now West Virginia. We have come to like the East coast very much and will, I believe, always reside here somewhere. But we also hope to have the ability to travel at the drop of a hat; to visit family and discover America. The second part of our retirement planning is to purchase a travel trailer or fifth wheel to make those trips to visit family and see America. We’ve taken the first step by buying a truck with a diesel engine that has the ability to pull the trailer we decide to purchase. We have had thoughts of just selling everything and living in that travel trailer too! I just don’t believe I’m ready to totally give up a small house yet. These next couple of years are times of big decisions. Our first step in making a decision is to take a trip, just the two of us, to explore along a portion of the South Carolina coast and the Outer Banks of North Carolina. Paul and I are not as financially prepared for retirement as we would like. With that in mind, we are considering purchasing a home in an area close enough to the beach to be able to rent it out during the prime summer months. We would use those months to travel and the rental income could make the all the difference in our being able to do the things we’d like to do. Yes, I would love to be writing to you right now giving out brilliant financial advise, but I’ll leave that up to the Dave Ramsey’s of the world! Trust me, you’ll be in better hands! These are all just thoughts right now, there’s nothing in stone, but that’s where everything begins, right? We begin our trip on April 29th and I’m anxious to share our journey with you! I’m also very anxious to hear from those of you that are facing retirement soon. What are your plans; I would love to know! So please leave a comment and tell me the things you are considering. It’s funny, I’m doing the AtoZ blogging Challenge and I wrote about “R” for Retirement yesterday. I quit my job a couple of years ago and thought I’d retire because nobody would want to employ me. Instead I found a great part-time job three days a week and I’m really enjoying my transition to retirement – I’m 55 so it’s really too early to drop everything and try to live on our meagre savings (even though we are debt free – you still need to eat and pay the bills) Our kids and spouses and grandbaby live a couple of hours away, so it’s nice to have time to be able to visit every month or so and to volunteer, drink coffee, blog, etc etc – I don’t think I’ll have any trouble filling my days when retirement eventually rolls around. Retirement was one of the biggest challenges of our lives. My husband says it was the biggest. Neither of us fully retired in the sense that we rempoved ourselves from the work-day world. I still work part time from home [for the magazine I used to work for full time] and blog [meeting a blog-a-week deadline is NOT retirement]. My spouse, an attorney, has taken on a few cases but mostly he wrote two books and now [at 80] he volunteers at a family law clinic. We both love staying active in connected to the work world. We did sell our house last year and move to a rental apartment and that has been a retirement indulgence–not having to worry about dishwasher repairs or snow on the driveway. I think everyone has to find their own rhythm and what makes them happy. We both like working, specially since it is with a lot less pressure. Oour retiree lifestyle is not for everyone but it’s right for us. I’m so glad to hear you found the retiree lifestyle that’s right for you. It sounds as if you both have had quite successful careers. I’m glad you have found a way to slow down, yet still work a little doing the work you love! We made our dream move to San Diego, California ten years ago when my husband and I were about thirty. We knew we would be leaving family behind, but wanted to follow our dreams. We ended up having our daughter three years ago (she is the miracle we thought we couldn’t have!!!!) and love raising her here. However, we have no family around and miss our family every day. It’s very difficult. We do travel back to see them, but wish we could do it more. We started retirement savings when we were both 25. Hopefull, that head start plus other investments along the way will be helpful in allowing us to retire here, near the beach and allow us to travel. It sounds like you have been very wise with your finances and plans for the future. Good for you! I hope you will be able to purchase your new home very soon. I love San Diego! When we lived in California we loved to take our children there during the summer. My dream retirement is simple. I don’t have debts, I have enough retirement income, and I have policies that will cover my future expenses like healthcare and will allow me to leave a legacy to my children. My primary concern right now is healthcare or long term care because I’ve experienced it first-hand with my folks. Good thing, they have long term care insurance, which helped them get through our trying times with ease because moving to a nursing home is no joke because of the cost. I’m considering getting one too and I’m in the process of doing research, weighing its pros and cons, and using my experience to come up with a life-changing decision. I just want to live a comfortable and peaceful retirement, and avoid becoming a burden to my children.